bless up everytime @Reggaeville fam! glad we had an opportunity to be on this big riddim! 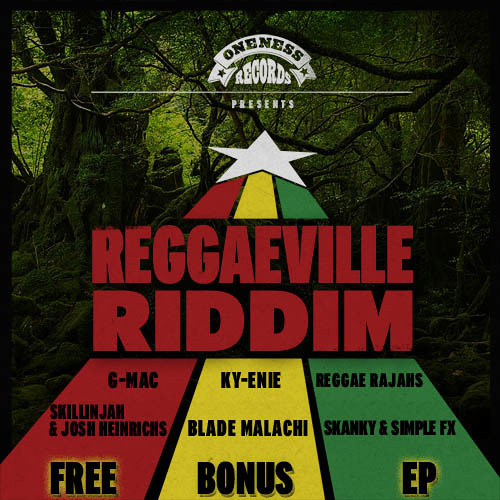 @ReggaeRajahs Indias 1st Reggae Sound voicing there 1st single on the @reggaeville oneness records riddim. @Shire-Roots @ssample @The-Groove-Thief Give thanks for the support!!! congrats on your first single Reggae Rajahs, nice work!! @reggaeville Thanks for having us on your riddims, its been wicked vibes!!! Large up the Rajah sound everytime to molicule!